***No 2019 information available yet for this event*** This years Festival is being held to celebrate the airports 80th Anniversary (The airport opened for business on 25th June 1938) and therefore a number of special events are being planned throughout the weekend at the Runway Visitor Park. 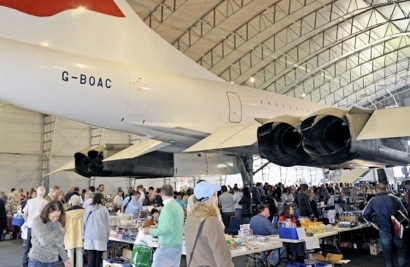 In addition, our varied Aviation and Transport Festival attractions will be in full swing:- Free access to the Concorde hangar including the Transport Memorabilia & Craft Fair. An opportunity to see and photograph the world's largest airliner, the Airbus A380 (3 flights daily), and as well as over 500 aircraft visiting the airport over one of the busiest weekends in the year.